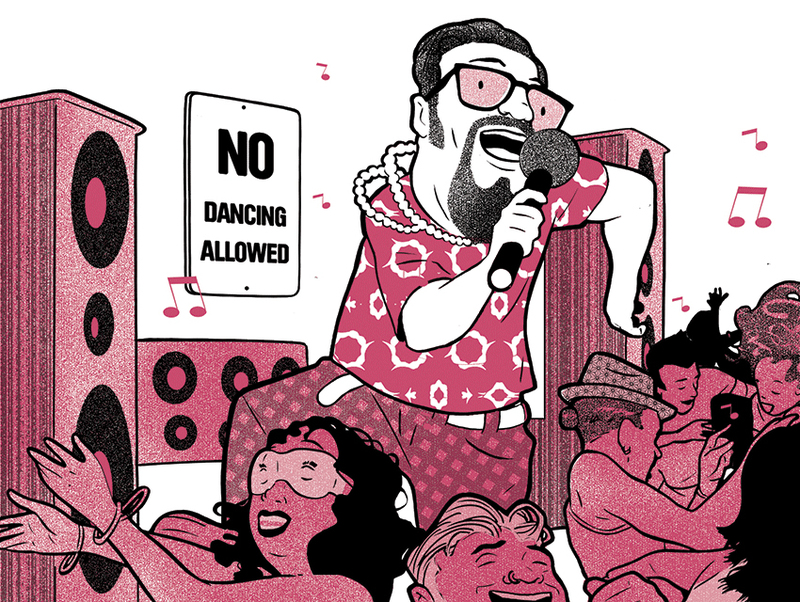 Ask Chris: Do the ‘No Dancing’ Signs in Karaoke Bars Really Mean You Can’t Bust a Move? If Grandma starts to wiggle halfway through “I Love Rock ‘n Roll,” a joint could lose its license. All bars operate under conditional use permits that spell out precisely which behaviors are not allowed, and a squad of city inspectors—the Condition Compliance Unit—roams around looking for offenders. Bar owners who haven’t danced through the hoops to get disco privileges can apply for updated permits, but the approval process is slow and costly.